Richard Bennett Hubbard was born in Walton County, Georgia, on November 1, 1832. After spending his formative years in Jasper County, he graduated from Mercer Institute (now University) in 1851 and was elected National University Orator. After attending lectures at the University of Virginia, he went on to Harvard receiving his LLB in 1853 and then relocated later that year with his parents to Smith County, Texas, first in Tyler and then on a plantation near Lindale. Hubbard first entered politics in 1855 by opposing the American (Know Nothing) Party. He supported James Buchanan in the 1856 presidential election and was appointed U. S. District Attorney for the western district of Texas, but resigned this position in 1859 to successfully run for the state legislature where he supported secession. Failing to win election to the Confederate States Congress, he set about recruiting men for the Confederacy. He was first a lieutenant colonel for the 5th Texas Infantry Battalion and then colonel after his old unit was consolidated into the 22nd Texas Infantry Regiment which served in the Trans-Mississippi Department in Arkansas and Louisiana. Hubbard’s postwar law practice, supplemented by income from real estate and railroad promotion, allowed him to reenter politics by 1872, when he was chosen presidential elector on the Horace Greeley ticket. He was elected lieutenant governor in 1873, and succeeded to the governor position on December 1, 1876, upon the resignation of Richard Coke. Hubbard’s gubernatorial term was marked by post-Reconstruction financial difficulties, by general lawlessness, and by reason of the legislature never being in session during his administration. Denied a nomination for a second term, he remained popular with the people of Texas as during his term there had been a reduction of public debt, fighting land fraud, promotion of educational reforms, and restored control of the state prison system. In 1884, he served as temporary chairman of the Democratic national nominating committee and worked tirelessly for nominee Grover Cleveland who appointed him in 1885 to be a minister to Japan. This was a time of Japan emerging from feudalism into world affairs. He was in Japan for four years and concluded an extradition treaty and provided the general provisions of revised treaties of 1894 – 1899. In his time, Hubbard was known as the "Demosthenes of Texas" due to his oratorical ability. 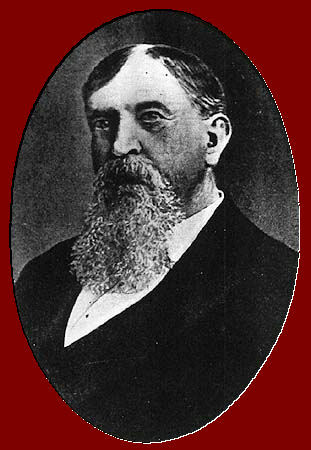 He lived his final years in Tyler where he died July 12, 1901. He is buried there in Oakwood Cemetery.